"He wasn't hurt at all — just stuck." For kittens starting out in life, the big wide world is just like a playground — full of interesting sights, smells and new objects to explore. Unfortunately for this little cat named Cookie, his youthful curiosity ended up landing him in a rather unpleasant predicament. 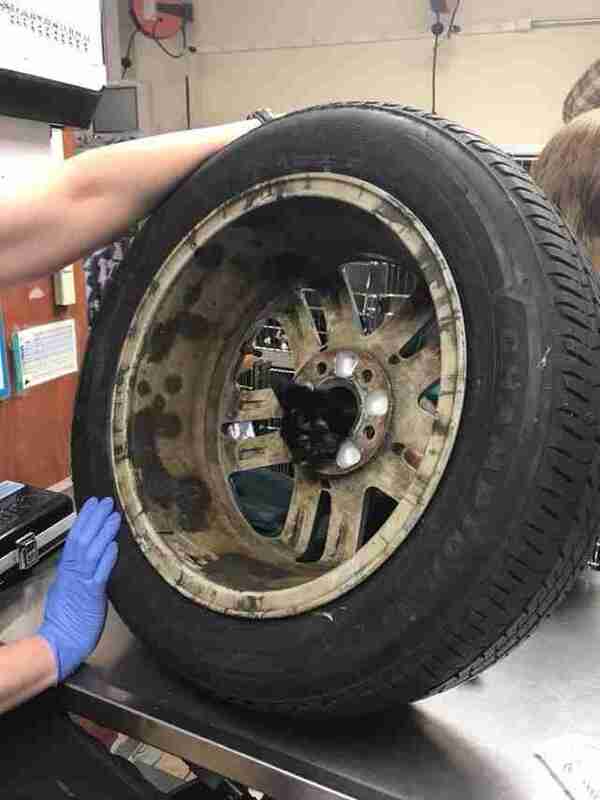 The frisky 4-month-old had been playing around in his family's garage recently when a spare car tire in storage there attracted his attention. Though it was too big and heavy for his little paws to properly bat around, Cookie continued to investigate it — ultimately deciding to stick his head through a hole in the center. That's when the kitten's problems began. 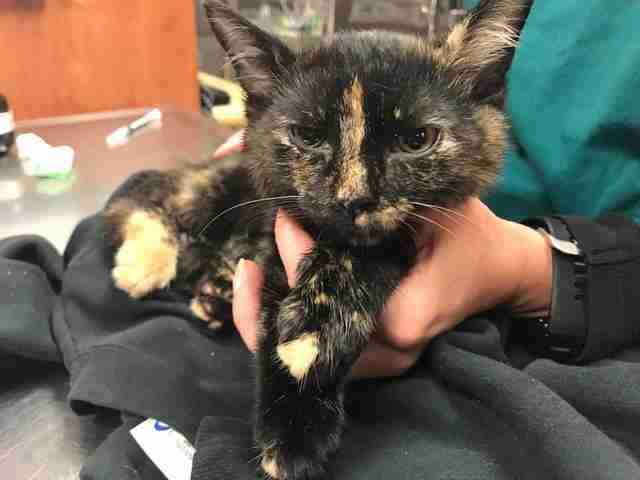 After finding Cookie thoroughly trapped, his family rushed him, tire and all, to the Pieper Memorial Veterinary Center in Middletown, Connecticut. Little did staffers there realize that they were about to become a pit crew of sorts. 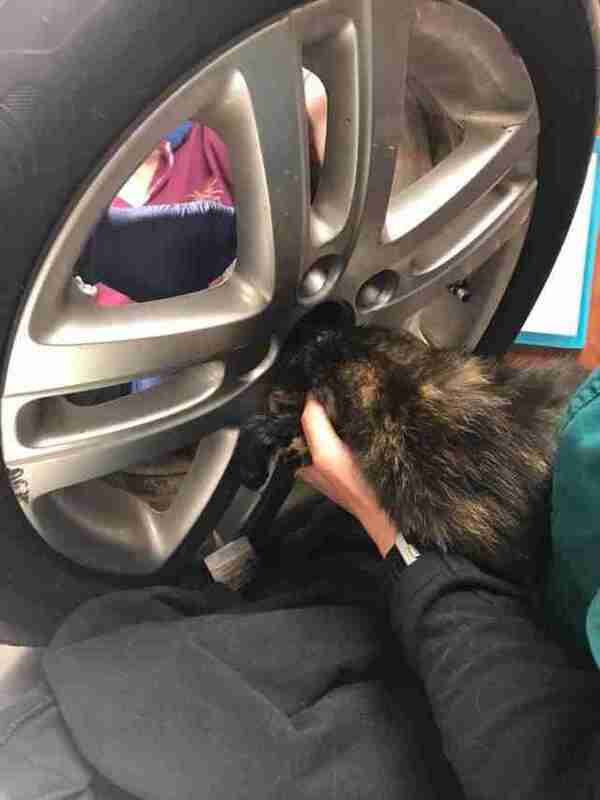 "They had called ahead and we knew there was a cat stuck in a tire, but we didn't know how he was stuck — or how big of a tire it was," Jesse Ferguson, the vet's marketing manager, told The Dodo. 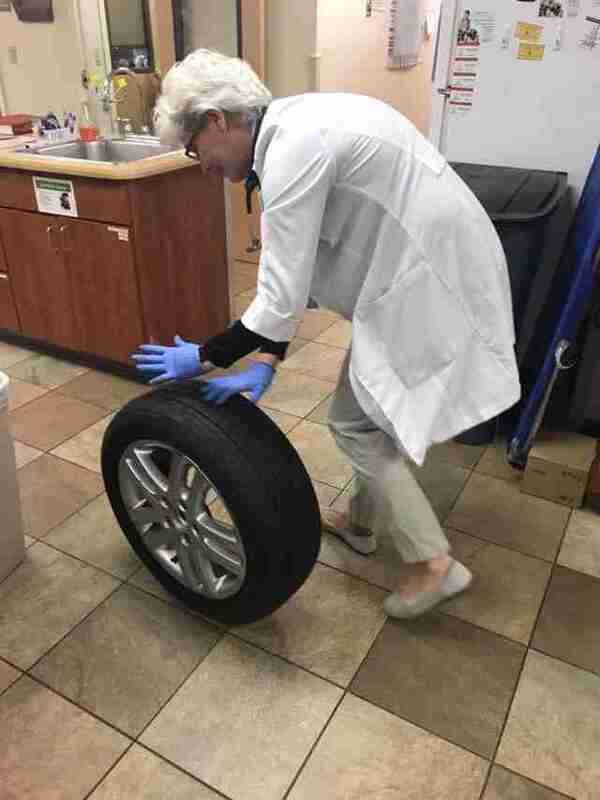 "It was a surprise when they walked into the lobby with a full-sized car tire. 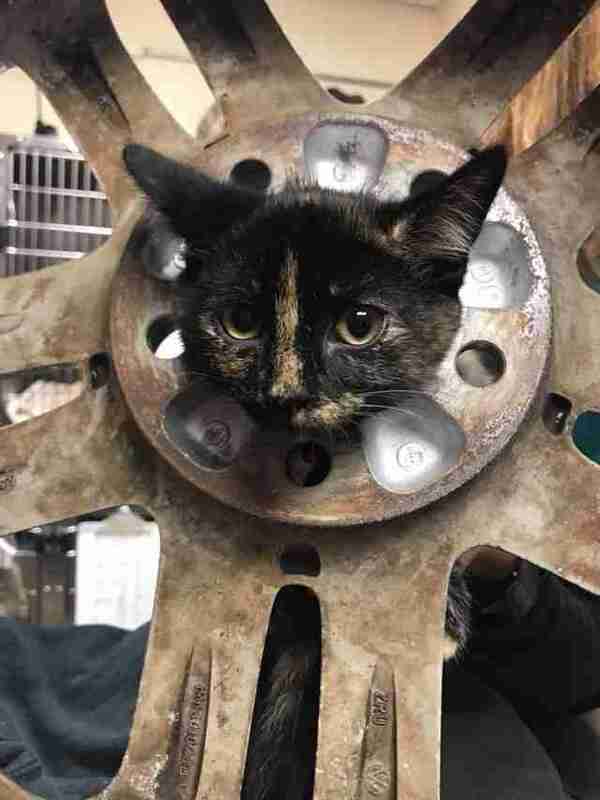 Once I realized he's only stuck his head through the tire on his own, being a silly kitten, then the situation became less frightening. He wasn't hurt at all — just stuck." 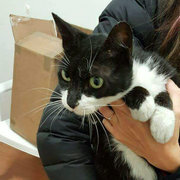 As Cookie's family waited anxiously in another room, the rescuers got down to the business of extracting him. Of course, the kitten wasn't so thrilled about that process, which wasn't quite as effortless as getting stuck in the first place. "Cookie was kind of stressed — it's what was making it so difficult to get him out of the tire," Ferguson said. "But I think he was doing pretty well considering." After a few minutes, Cookie was safely freed. "He was exhausted, but otherwise completely unharmed," Ferguson said. 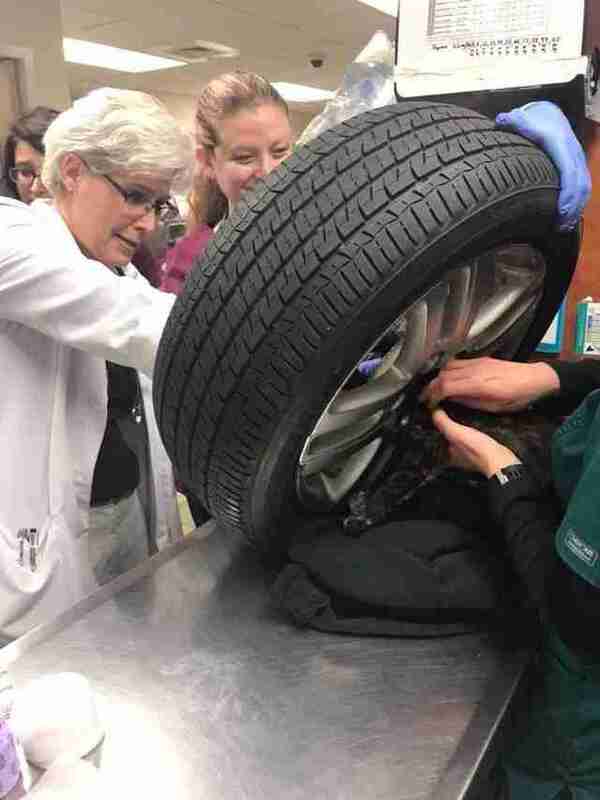 The tire, also looking no worse for the wear, was then escorted out of the ER — hopefully to end up settling in a more out-of-reach part of the family's garage. While the vet clinic staff works each day to help animals in need, Cookie's situation ranks among the most unique. And fortunately, it has a happy ending. "Success stories like this one are so good for everyone involved," Ferguson said.